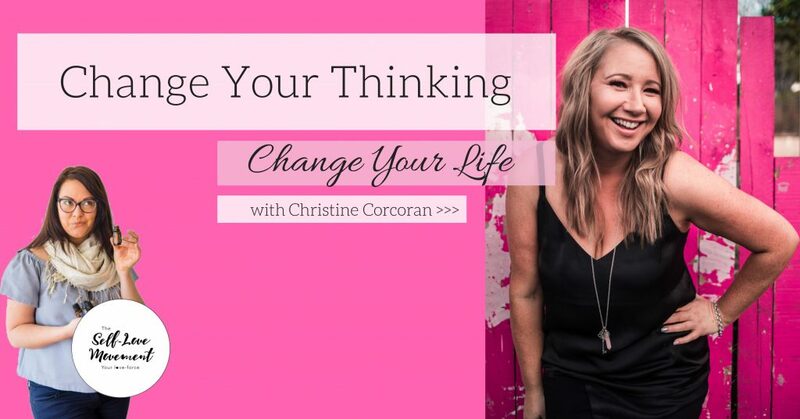 Change Your Thinking ~ Change Your Life – with Christine Corcoran. Did you know that we have over 60,000 thoughts a day? And the majority of these thoughts are negative or a part of the collective consciousness not belonging to us at all. And did you know that “thoughts become things”? That’s right, your thoughts are so powerful that they literally create and shape your entire reality. Mindset and your perception of the events or experiences in your life determine the quality of life live, and the level of happiness you experience. So, what does your reality look and feel like? Are you happy, fulfilled, content, and living a life full of love, joy, abundance, wealth and bliss? Or, are you feeling stuck, confused, sad, depressed, anxious, unsatisfied, unfulfilled, and carry around low self-worth, low self-esteem, negative self-talk and a raging inner critic? Do you pay attention to your thoughts? And if so, what are they creating, blocking, or allowing in your world today? Christine is the founder of Periscope Coaching, is a Business & Life Strategy Coach, Podcast host and Workshop Facilitator. For the past 6 years, Christine has been working with small business owners helping them reach their business goals. Taking the necessary “business” steps is only half of the battle. Understanding that the person is as much the business owner as they are the business is what sets Christine apart from other Business Coaches. Through furthering her studies in NLP, human behaviour and life coaching, she believes we need to support the individual through the process as much as the business needs processes. As part of her coaching, she works with a holistic view, with the person and their business, as one, uncovering their fierce passion & drive to create the business of their dreams. – How to master your inner critic & create a positive mindset for success. – To uncover the negative self-talk that holds you back and how to change it. – How to overcome past negative experiences that still play on your mind and may be stopping you from stepping into your full potential. – How to trust your gut & listen to the universe. – Plus loads of inspiration, empowerment, support and LOVE! Tea + treats are included! Brisbane Self-Love Ambassador for The Self-Love Movement.